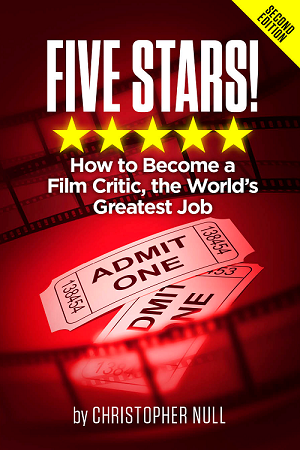 We critics see hundreds of movies a year, on average about two a week for a total well over 100 (though there are some of us who truly suffer for our art, reviewing DVDs and Blu-ray releases, pushing the number beyond 300). During that time, we do a pretty good job of storing those cinematic experiences in our memory banks for later recall. Later, when asked, we can easily provide the name of an actor or actress, the genre or underlying themes, and in most cases, the specific narrative or plot. But it never fails: There are some movies that, no matter how many times you seen them, fail to stick in your brain. It may be the approach or the overall success rate of the storytelling, but there are films that simply scroll by, leaving no memory of what they were about in the process. Here are a good ten of them, all titles that leave us shrugging our shoulders when asked to explain what they were actually about. 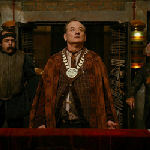 Okay, so this was about some underground city where Bill Murray was a corrupt ruler? And there’s some secret per-Hunger Games social order where kids graduate into their randomly selected jobs? What happens then remains a mystery, as filmmaker Gil Kenan goes overboard on art design and special effects. The finale finds our underage heroes going on a flume ride in order to discover some truth about their existence, and yet the reveal really doesn’t clarify anything. No wonder families fled from this when it was released. The idea of catching up with everyone’s favorite video game film some 28 years after the idea was new and novel may have seemed good on paper, but once the visuals were programmed into a computer, all other narrative needs were apparently tossed by the wayside. We get two Jeff Bridgeses (one obviously CGI), a humanoid gal dressed in a black skintight catsuit, and a half-baked hero who’s supposedly looking for his father before trying to keep the world from being overrun by an angry AI. Maybe. 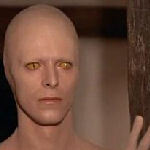 David Bowie is an alien sent from his water-parched world to see what earth has in the way of excess liquids. And… well, and that’s about it, really, though the movie does continue on for another two hours. There’s some satire involving fame and the media, a few underhanded business deals, a Howard Hughes-like sense of isolation a.k.a. government quarantine, and more than a few nonsensical Nicholas Roeg flourishes. Granted, the trippy, hallucinogenic qualities played well in the ’70s. Today, they cause nothing but head scratching. For his directorial debut, Oscar winner Charlie Kaufman decided to deal with the creative process in his own unique and highly idiosyncratic way. The result remains so insular and bizarre that it’s almost impossible to decipher. Writer Philip Seymour Hoffman gets a genius grant and decides to stage a play about his life… in a warehouse… where everything in his existence is recreated via full size sets and acting doubles. Of course, the main question is still… for what? If you figure that out, you’ll discover what makes Kaufman tick. M. Night Shyamalan’s biggest bungle wasn’t his killer plants epic The Happening. Instead, it’s this surreal fairy tale that’s about as memorable as the menu from a Brothers Grimm-themed restaurant. Paul Giamatti stumbles upon some sort of magical creature played by Bryce Dallas Howard in a pool. The rest is a tangled mess of moronic mythology, lame folklore, and the director himself as the savior of the world. Then is all turns into a tepid Lord of the Rings with giant birds and weird werewolves… or something like that. 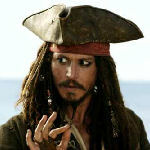 Here’s what we know: Johnny Depp is Captain Jack Sparrow. Geoffrey Rush is Captain Hector Barbossa. Bill Nighy is Captain Davy Jones. All three want the ship, known as the Black Pearl. Why? Well… that’s a pickle now, isn’t it. There’s connections to the Kraken and the legendary “locker” owned by one of the characters and a lot of rum commentary. We also have a love story between Orlando Bloom and Keira Knightley. To this day, even with the billions of dollars they have earned, even ardent fans couldn’t sketch out the storyline here. Asked to follow-up his cult favorite Donnie Darko, Richard Kelly came up with this dystopian social commentary that still makes absolutely no sense. There’s been a Third World War, limited nuclear strikes, and holes ripped in the fabric of space and time thanks to a new kind of green power source. Then there are four characters interconnected somehow. Even the expanded cut released on home video fails to clarify much of anything about this film. Kelly’s point is simply lost in all the alternate/future realities. This one is easy. Michael Bay’s movies rarely have intelligent plotting. They merely exist as excuses for things to blow up and special effects to dominate the narrative. 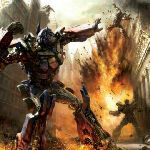 In the case of the three (and counting) films in the franchise, each one centers on good robots and bad robots and the bumbling humans surrounding them. That’s about it, though the scripts do struggle to offer a bit more depth and detail… so — QUICK! Can you explain the main conflict in Dark of the Moon? Revenge of the Fallen? Thought so. David Cronenberg dove head first into the worlds of virtual reality and computer games with this 1999 example of his patented sci-fi body horrorshow. Jude Law is a trainee working with designer Jennifer Jason Leigh on a new console prototype. Soon, assassination attempts are merged with real life hallucinations in order for some seriously screwed up Luddites to limit technology’s power… we think. The conspiracy theories and alternate explanations fly fast and furious before things sink into gore-laced lunacy. It’s Videodrome for the Playstation crowd. Terrence Malick’s look at the origins of our universe and life in rural ’50s Texas requires a roadmap, a background in anthropology, immense patience, and a copy of Gödel, Escher, Bach: An Eternal Golden Braid to comprehend, and even then we still can’t quite figure out what Brad Pitt’s distant, dysfunctional dad and his influence on his precocious sons has to do with anything. One moment, we’re watching dinosaurs silently scavenge for food. The next, Jessica Chastain’s saintly mother figure is floating amongst the day’s drying laundry. Huh?